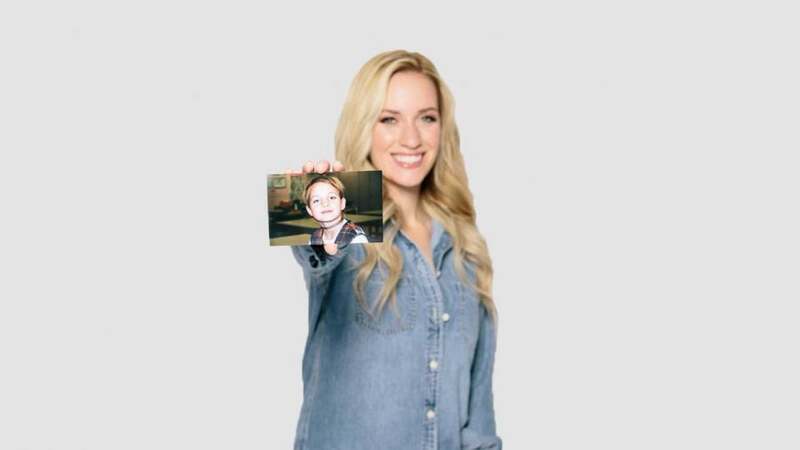 Paige Spiranac and the kid she once was. We've all been told hundreds of times that we “can’t” do certain things. I, for example, am constantly reminded that I can never be a good role model until I win on tour. But what does winning have to do with the ability to positively contribute to the world? Being a “winner” often seems like the only way to earn respect. Whether it’s in sports, entertainment or business, this scenario seems to play out over and over again. Winning eclipses all transgressions — and if you’re not winning, you’re nothing. That’s just not right. The ability to act as a role model shouldn’t depend on owning a pile of trophies. Instead, we should look at role models as whole people — people who fail but overcome adversity, people who inspire us both on and off the course, people who spend their time trying to make their community a better place. For me, working with kids is one of my favorite ways to give back, and I refuse to let public opinion about whether I’m a “winner” stop me from being a positive role model and mentor. Likewise, I refuse to spread this common myth of success to younger generations. It’s only when we stop looking exclusively to the podium for our heroes and start looking all around us that we’ll make the greatest progress toward a better tomorrow. 1. Ease off the Pressure. Don’t impose expectations on performance or playing time. If your kid wants to hang out in the cart for a few holes, no problem. Let him or her decide. 2. Invest in Equipment. Once you sense interest, keep it going by getting clubs that fit. Clubs that are too long or too heavy make playing unnecessarily frustrating. 3. Make it Fun! Create games to play on the range or course. Bring silly rewards. And don’t make it about scoring! 4. Put Them First. Every child thrives on encouragement, but beware of forcing it. I’ve seen too many family relationships crumble because of excessive ambition on the course or the range. #AskAlan mailbag: Is Tiger Woods’ post-scandal career Hall of Fame worthy?